Hitari: Don Bradman Cricket 14 - The Finest Cricket-centric video game ever made! Don Bradman Cricket 14 - The Finest Cricket-centric video game ever made! 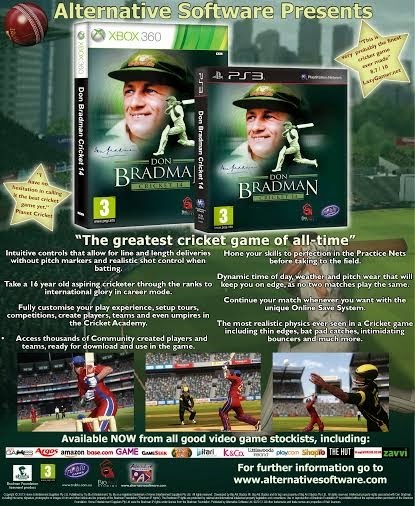 To all Cricket fans and want to be, the Don Bradman Cricket video game is the one for you. The game have had so much good press… the 77 Metacritic is the highest Metacritic rating ever for any video game based on Cricket,, including titles from EA, Codemasters etc., and no doubt this score will rise, as more reviews come through. "Best cricket game of this generation"